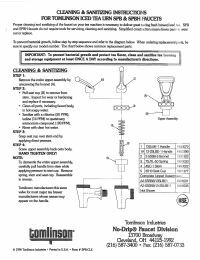 The Tomlinson 1000732 TTSPB Series Metal No-Drip Replacement Spigot is the industry standard plastic dispensing faucet for iced tea brewers, glass jars, and cold beverage dispensers. 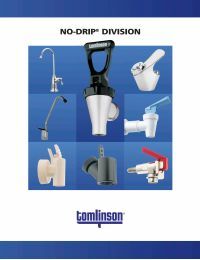 This commercial cold liquid dispenser faucet has a black polypropylene body with 1-1/32"-14 UNS threads, and a black nylon bonnet and stem. Use this OEM product with 16CNY or 16TNY series shanks.